2017 FIRST CLOTHING HAUL! | RAWR BOWS. Je suis back! After several weeks of barely no social life and no free time, I have now taken (and hopefully passed) what’s probably my last final ever. It feels so weird. Let’s stop talking about school though. About a week ago I received some super cool clothes from one of my favourite online stores, Zaful*. They always have such cute stuff and their workout clothes are the best! Online shopping is my favourite way of procrastination so obviously some damage was done during this past month. Here you have the outcome. 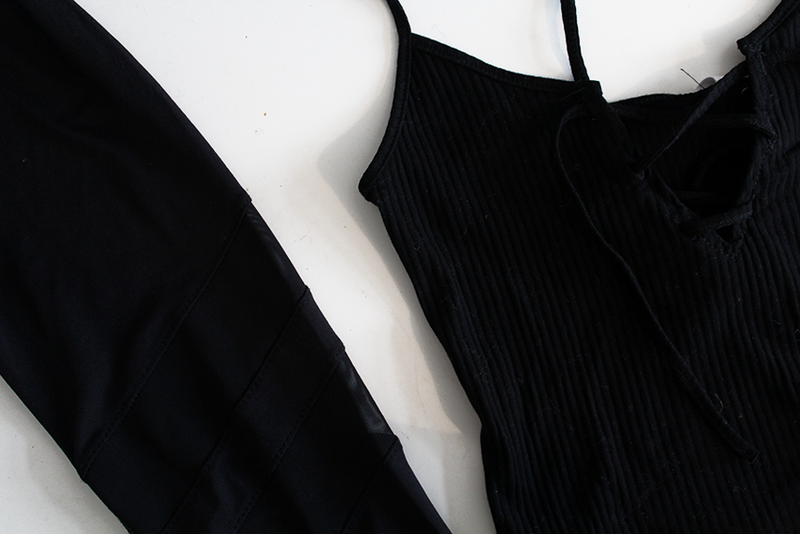 My favourite item is by far these mesh leggings. I’ve been wanting ones like these forever but could never find the perfect ones. I love how the mesh adds some edginess to my outfit and it makes me look so sporty! I also got some fancier tops which I very much needed. I’m a bit obsessed with velvet so got a velvet black long-sleeved crop top and a velvet pink-ish top (the colour looks a bit weird on the photo, it's a bit more brown in real life). I feel like the black one will look incredible with a black skater skirt or black high waisted jeans. Off the shoulder tops were all I wore during summer so, in an attempt to make winter feel slightly more like summer, I decided to get a long-sleeved version. As one might expect, it is not the ideal warm item to wear when it’s below zero degrees. However, on those warmer winter days it’s something great to wear with a warm coat. Another more summery top I also got is a simple black crop top with the very well known and super trendy zig-zag cross thingy. I can’t wait for summer so I can wear this with a pair of high waisted denim shorts and dainty jewellery. 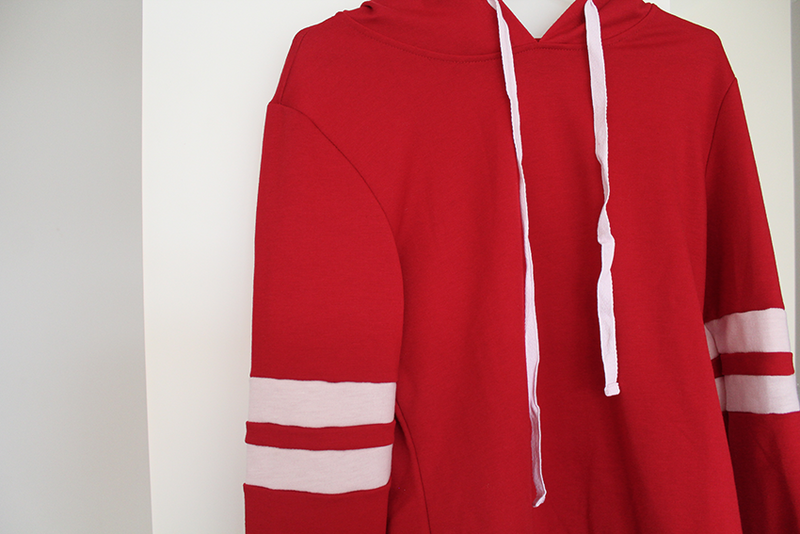 Finally, I got a red hoodie because you can never have enough hoodies. This hoodie with the mesh leggings is currently my go-to outfit when I’m not feeling tight jeans. It’s so comfy but it looks like I’m going to the gym and have my life together. Win-win. And that’s all I got this time around, I’m ridiculously thrilled to ditch my revision sweatpants and start wearing cute clothes again! !